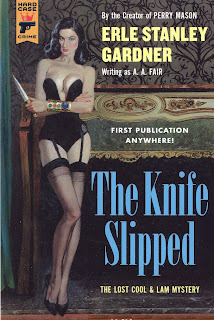 There is no specific reason we’ve never read an Erle Stanley Gardner book before. Truth be told, we were never impressed with the highly popular Perry Mason TV series starring Raymond Burr; though Mom and Dad watched it faithfully. Most likely that particular disdain was behind our lack of interest in Mr. Gardner. 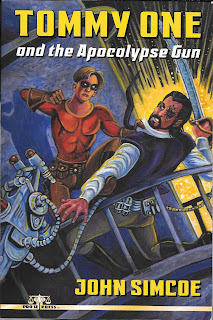 Oh, we were well aware that he was one of the few writers who began his career in the pulps and successfully achieved the goal of becoming a bestselling author. At the same time Gardner, himself a lawyer, was pumping out his Perry Mason cases, he was also writing detective yarns featuring a really odd pair, overweight private investigator Bertha Cool and her operative, Donal Lam. These he penned under the pseudonym of A.A. Fair. Thus you can imagine the excitement when Hard Case Crime, a stellar publishing house devoted to classic mysteries, uncovered this lost Cool & Lam novel. In his wonderful afterword, writer Russell Atwood explains the history of the book which was originally intended to be the second in the series. There’s no need to repeat his essay except to say it’s a nice bonus to this first ever printing. The plot is convoluted. A woman, and her overbearing mother, hire Bertha Cool to follow her husband who she suspects of cheating. Bertha assigns Lam to shadow the supposed cheating spouse and learn the truth. Her main concern established immediately in the first chapter is earning a generous fee from their client. Lam, a disbarred lawyer, is still new to the private eye game and Bertha sees it as her responsibility to tutor him properly. When Lam discovers the wayward husband is involved with a lucrative government scandal, things start to get very delicate. Bertha’s survival instincts kick in fast. Any further involvement could see them entangled not only with corrupt cops, but some rather deadly local mobsters. She warns Lam to be wary. Alas that warning comes hours too late when the subject of their surveillance is murdered. Soon various parties begin pointing to Lam as their patsy. “The Knife Slipped” is a solid mystery with two of the most intriguing characters you’ll ever encounter. Gardner plays fair, pun intended, in setting out the clues and by the book’s final we were both applauding the big reveal and laughing out loud. We may never desire to pick up a Perry Mason title, but we’re open to encountering Bertha and Donal again. Thanks Hard Case Crime. As someone who publishes Sherlock Holmes anthologies, we are obviously fans of Conan Doyle’s wonderful characters. We are also naturally curious as to what other publishers have done or are presently doing with them. Thus we decided to look at the Titan Books series, “The Further Adventures of Sherlock Holmes” that have been released in the past few years. Titan is an excellent outfit with a stellar track record of producing some of the finest genre titles on the market today. 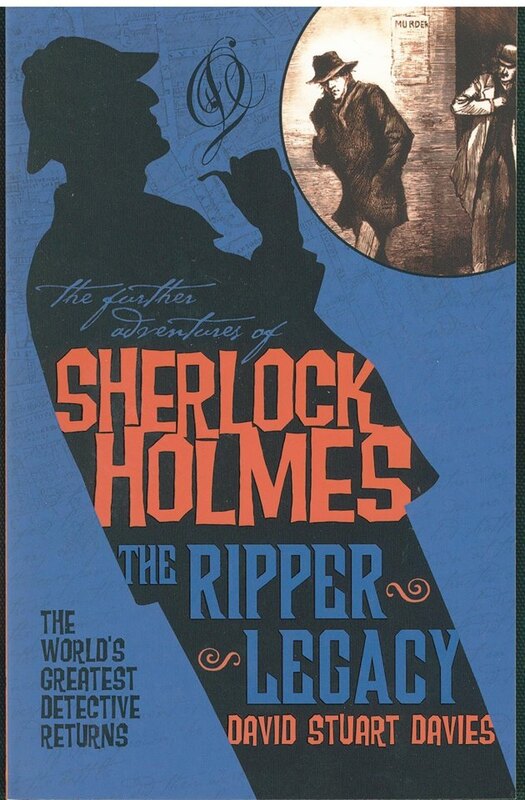 We hoped this quality would extend to the Holmes books when picking up “The Ripper Legacy” by David Stuart Davies. 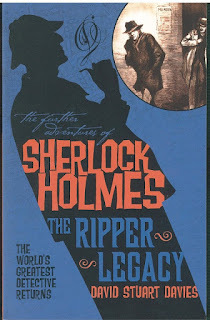 In “The Ripper Legacy,” Holmes and Watson are called upon by a distraught young couple whose eight year old son has been kidnapped. As the family is not wealthy, there appears to be no logical reason for the abduction, which perplexes Holmes. 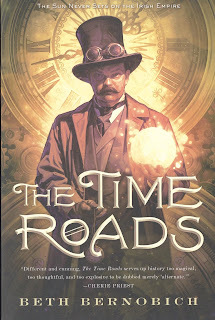 Ultimately he uncovers a lie which then sets him on a course that will connect with the earlier crimes of the infamous Jack the Ripper. Who is this child that he important to a criminal genius and what possible threat could the boy pose to the British Crown? Saying any more would be spoiling the fun of this twisting mystery that unravels at a quick pace one Holmes discovers that one loose thread. Then he and Watson are on the hunt. The book has plenty of suspence and action as our heroes are never at rest, though the murderous villain they battle has the uncanny ability to stay one step ahead of them throughtout the entire adventure. Another vital aspect of any Sherlock Holmes tale is how well the writer captures the essences of these beloved figures. Again, Davies is truly wonderful in his portrayals. These are Doyle’s character as we’ve all come to know and love them. “The Ripper Legacy” is a damn good read. Don’t miss it.